They say “good things come in small packages,” and when it comes to buying gifts for coin collectors, this adage can be especially true. But how do you know if the gift you’re buying for a coin collector is really a good thing or a raw deal? 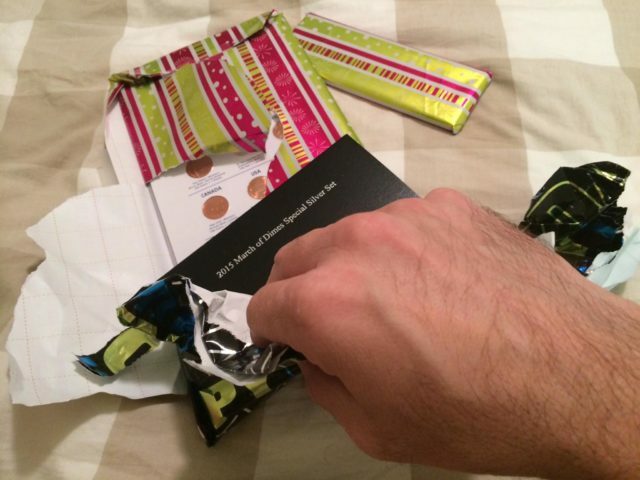 I’ve written before on gift ideas for coin collectors. Those ideas included books, albums, and other necessities. But what if you want to buy coins for the coin collector in your life? Well, admittedly, buying coin gifts can be a little more complicated to figure out if you’re not a seasoned coin hobbyist. You really can’t just go to a coin dealer and ask for “a” silver dollar or any “mint condition” Lincoln wheat ears penny. Unless you’ve bought numismatic coins before, you’re going to learn that it’s not really that simple to buy a coin, unfortunately. There are a lot of different factors that go into buying coins — many more than I could fully divulge here in just 1 post. #1 – Buy certified coins. Certified coins have been inspected and authenticated by some of the coin industry’s top professionals. They are housed in sonically sealed, tamper-evident plastic. 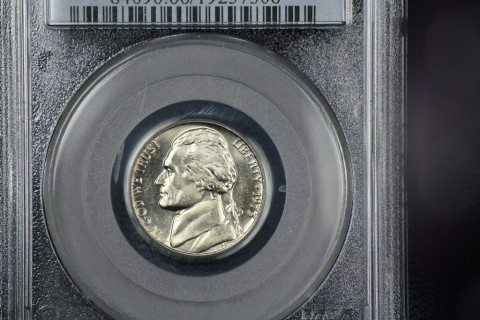 These so-called slabbed coins aren’t always perfect, but so long as you buy certified coins from reputable authentication services, you should be OK. Coin dealers usually refer to these companies by their acronyms (in parenthesis above), which makes it a little easier to verbally refer to these companies when talking about slabbed coins. Slabbed coins are often quite expensive, but many are also cheap. It’s possible to buy slabbed coins of some series (such as modern Lincoln cents, Jefferson nickels, Roosevelt dimes, and Washington quarters) for less than $10 each. #2 – Beware of cleaned coins. If you’re not familiar with the coin hobby, you may think a cleaned coin is a good thing. However, most coin collectors regard cleaned coins as nothing more than damaged. Avoid buying coins that have been cleaned. Here’s how to tell cleaned coins from uncleaned coins: If a coin looks well worn and has very few sharp, crisp details but looks extra shiny and doesn’t have any dirt or darkness around the lettering and details, it may have been cleaned. #3 – Avoid colored novelty coins (…unless you know the collector likes them). You see them advertised on TV all the time — colorized coins. Sure, they look pretty and unique, and they do make great gifts, especially for non-coin collectors who may enjoy the vibrant designs. But serious coin collectors tend to avoid coins that have been colored or painted outside the Mint. In fact, colorized coins are largely regarded as altered pieces. Stick to normal coins — unless, of course, your recipient has an affinity for colorized coins or other novelty coinage. #4 – Be sure the coins you buy are authentic. If you’re buying slabbed coins (as recommended in tip #1), then you should be all set to go here. But if you don’t buy slabbed coins, yet you still want to ensure the pieces you buy are authentic — then what do you do? My best answer (and one of my favorite ways to buy coins) is to stop by your friendly local coin dealer. If you’re fortunate to find a coin dealer nearby, by all means visit their shop when you’re looking to buy coins. Chances are, if they’ve been in business for many years, they probably haven’t managed to do that by ripping customers off by selling counterfeit coins. If you don’t know any coin dealers nearby, try looking for reputable coin shops on the coin dealer search engine provided by the Professional Numismatists Guild (PNG). That should help you track down some great coin dealers in your neck of the woods. #5 – Make sure the coins you buy are wanted by the recipient. Some coin collectors have what they call a “want list.” It’s essentially a wish list of coins that they hope to buy someday. You could casually ask the gift recipient what coins they want. Yeah, that may not be the best way to go about it. OK, maybe that won’t be exactly how your conversation with the person you’re buying coins for will go, but there’s a conversation-starting idea, nevertheless! #6 – Check money-back guarantees and return policies. No matter what coin dealer you buy from, make sure they offer a money-back return policy, just in case the recipient decides to buy something else. Return policies are also a good assurance that the dealer isn’t trying to pull a fast one on you. From brick-and-mortar coin shops to online coin sellers, reputable coin dealers usually offer a return policy. Remember, though… for coins to be returnable, they nohormally have to be left inside their original holders. What Kind Of Coins Make Great Gifts?